In one of my environments there is an executive decision that’s enabled the announcing of meeting joiners and leavers. I find this very disruptive when folks drop in and out, not to mention the slight latency in the announcement. 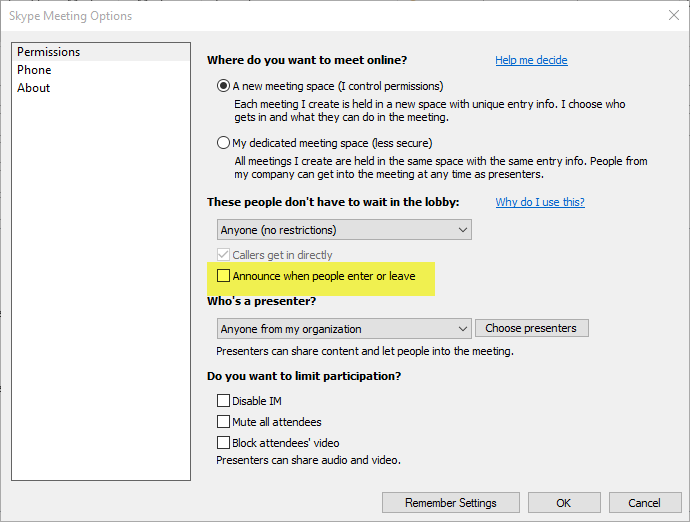 You can disable this announcement within Outlook.